2projects4all - Multimedia realizations and realization of the logo. We will have to create a logo to launch the 2projects4all.com site message, stylize the name and create the graphic bases to quickly compose all the messages that will be launched on social networks. We will try to standardize the measurements; In any case, all high resolution images will be downloaded freely from the site. You have to create a short musical clip, a median and a musical theme true and proper, and obviously have to have duration subject to use. Then a repetitive base will be needed that is used not only in the spoken one, but also as background of movies and / or animations. The opinions for the realization of all this I have already mentioned, the method of realization of the videos and clips is at your free choice. What you have to keep in mind and that will be, for obvious reasons, the same for everyone, is the resolution of the videos and clips. I think the best option is 720p in HD, anyway if they have other proposals; we will evaluate them all together. The logical end and continuity. All the multimedia that must be produced must have a logical design, continuity, must mark the mind of the holder who reads, listens or looks. Put the heart more than the mind, I know it is difficult, but since I have been writing for hours, we have to start again with the heart. Modality of sending the files. Who will participate in the creation of video, graphics or music, however, with everything that will produce large files, you will have an FTP access directly on the site, so you can make the transfer with any program. 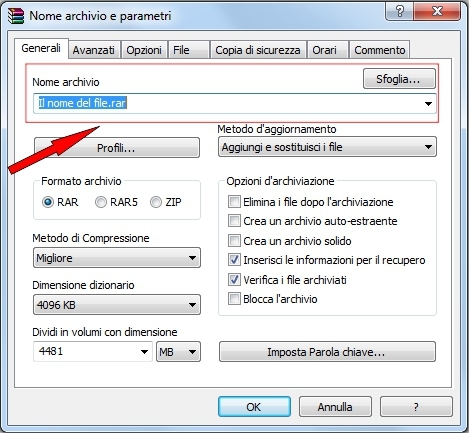 The most famous on the network is FileZilla, which can be downloaded directly from the organization's website in the 32 and 64 bits. 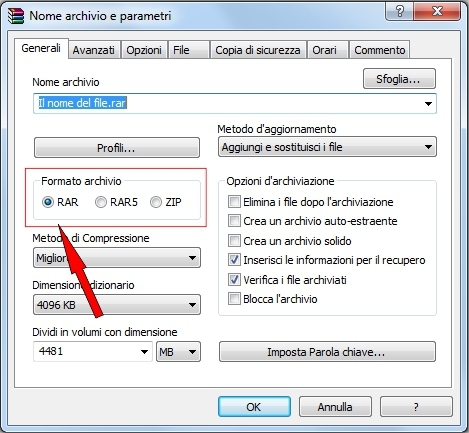 On the FTP server, you cannot send large files at one time, so you must divide them with WinRar (you can download it directly from the manufacturer's website, in the 32 and 64 bits). To avoid problems with traffic, you must configure your FTP program to send only one file at a time and not exceed 200 Mb for each file sent. 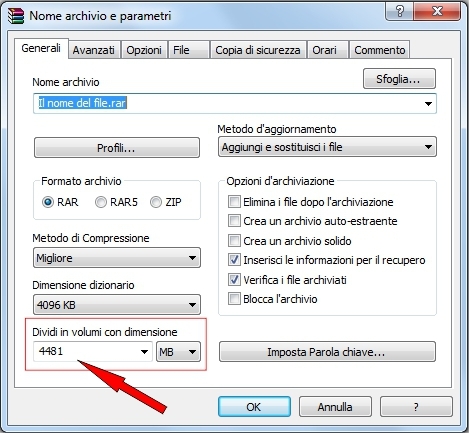 For those who are not familiar with the WinRar program, I will illustrate by way of example (taking as reference the commands of version 5.31) how to configure the program to divide the compressed files. 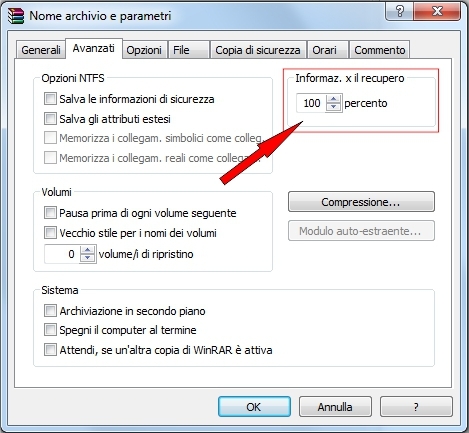 After configuring the "File name”, activate the option "RAR" in “Archive format”, this to have downward compatibility always, then choose “Best” as “Compression method”, this will slow down the process but it will have the maximum compression, then in “Split to volumes, bytes” set "200 Mb" and this will be the maximum size that each file will have after the division, and finally in “Compression options” validate the element “Test archived files” and “Add recovery record“. After the latter, click on “Advanced” and in “Recovery record” set the value to "100%". 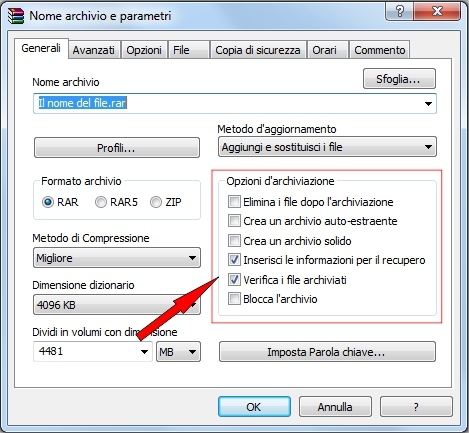 This will greatly increase the size of the file, but it will give us the opportunity to try to recover the content on the site without having to send the entire file block again. 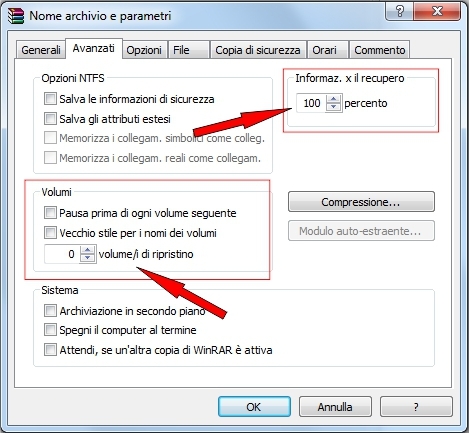 For the more experienced, they can alternatively reduce the “Recovery record“ and choose to generate a certain number of “Recovery Volumes“. In any case, the above option is more than enough. All communications about multimedia will be made through the email indicated in the Contacts section. 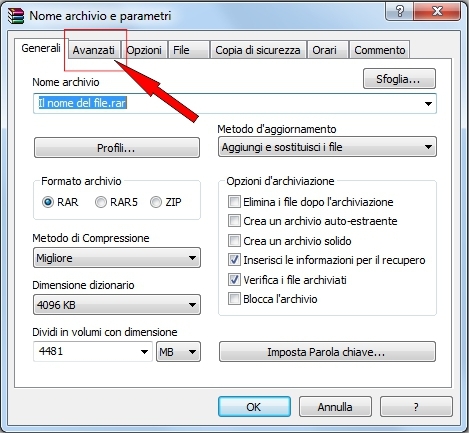 All the data to access the FTP server will be sent by it. You should always wait, unlocking FTP access every time they send the material. with news of the World. Last earthquakes above grade 5.5. For the protection of your information, you can consult the document prepared for Privacy. The terms and conditions of use are available in the Unique Regulation.